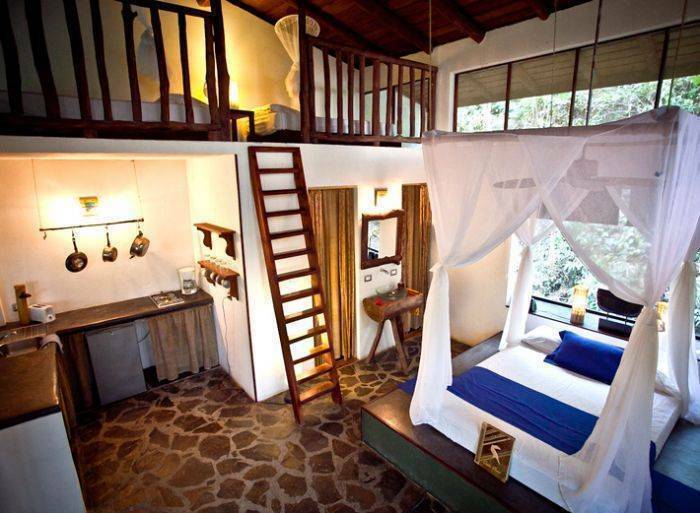 Our Rustic boutique hotel is a jungle oasis, only 500 meters away from one of the most beautiful beaches of Costa Rica. 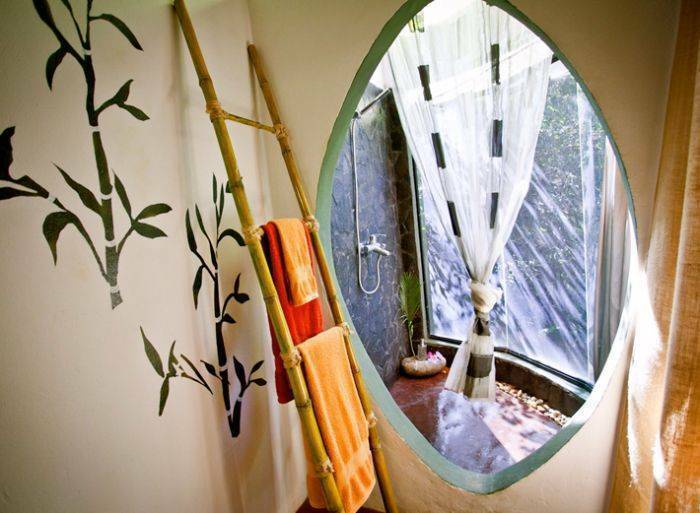 In Canaima Chill House, luxury is experienced in harmony with nature and simple sensations such as, relaxing on a bamboo hanging bed, listening to the amazing sounds of the jungle or chilling in our “pillow swimming pool”. Sensations which are hard to explain, sensations which are simple to feel. 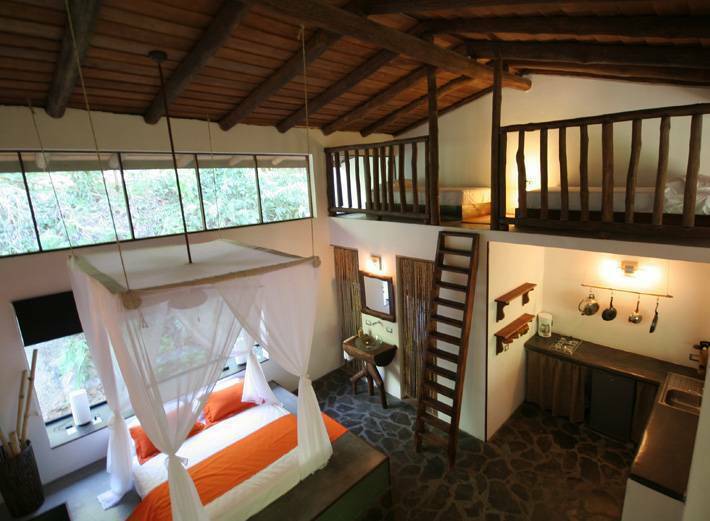 This eco-friendly, boutique hotel is located in pretty Santa Teresa on the Nicoya Peninsula. It offers spacious and rustic suites, an outdoor hot tub, swimming pool, massage services and a chill-out sun terrace. 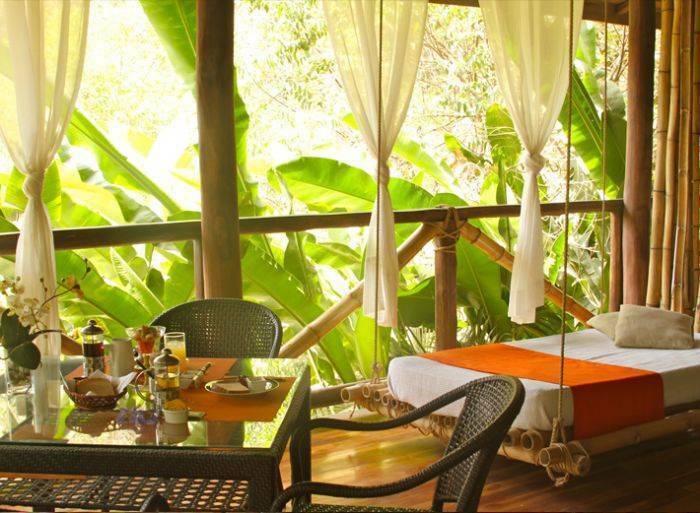 The Canaima Chill House suites feature a balcony, kitchen, dining area and bamboo hanging beds. Each includes a mosquito net and ceiling fan, an iPod dock, safe and spacious en-suite bathroom. Free Wi-Fi is also included. Anaima is only 500 metres from Santa Teresa Beach. The hotel offers activities such as horse riding and snorkeling on Tortuga Island, 30 minutes away from the hotel. 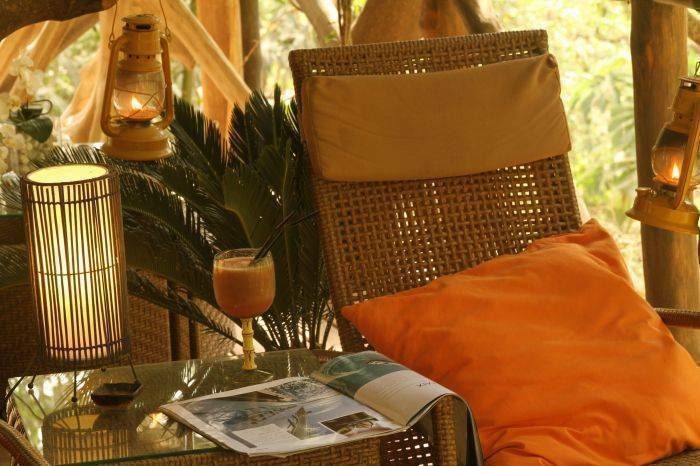 Canaima Chill House offers free parking and is 5 minutes’ drive from the Cabo Blanco Nature Reserve. It offers airport shuttles for a charge to both Tambor Airport and Juan Santamaria International Airport. More than a simple stay in a Eco Hotel, Canaima Chill House can organize all kind of activities to fully live the experience of the jungle and the ocean. From the Ecohotel Canaima Chill House in Santa Teresa- Malpais you can also experience all the adventures that costa rica offers. More than a simple stay, we can organize all kind of activities to fully live the experiences of the jungle and the ocean. Thanks to a community of locals and foreigners that have settled down here during last ten years, this place offers interesting cultural events like music concerts, fashions shows, fire dancing, and acrobatic spectacles. There are international restaurants with delicious cuisine from all over the world as well, and all services as pharmacies, banks, supermarket, internet cafes, car and ATVs rental, spas, yoga centers and many surf shops. 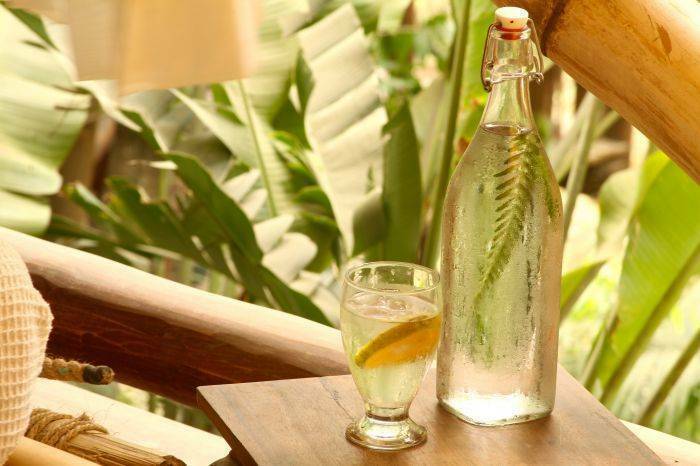 The eco Hotel Canaima Chill House is located in the heart of Santa Teresa- Malpais, an eco accommodation in the middle of the jungle, close to the beach. Santa Teresa- Malpais lies in the southern tip of the Nicoya Península, one of the most diverse and attractive areas of Costa Rica. This beautiful touristic destinations has tropical jungles, world class surf, and amazing sunsets over the Pacific Ocean. We are located 400 meters up a hill from main town, walk distance to the beach. Vehicle recommended, and in raining season 4 wheel drive needed. (We can arrange any kind of vehicle rental for you).